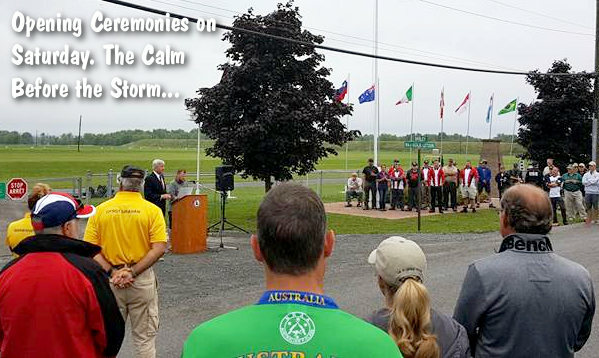 After one yardage, the FCWC was halted on Saturday (Day 1) by a massive thunderstorm. The F-TR event couldn’t have been closer — this went down to the wire. American Derek Rodgers scored 473-36V to win the title on V-Count over Canadia Kevin Chou (473-31V). Kevin is a very tough man to beat on his home range in Ontario. At this same venue, Kevin recently won Canada’s F-TR National Championship, his second F-TR Canadian National title in a row. This has been a great summer for Rodgers. Last month Derek won the King of 2 Miles competition in Raton, NM. But the World Championship F-TR win didn’t come easy. Not by a long shot. This was a tough, come-from-behind win for Derek. After Day 1, which was halted by rain, Derek was in 77th position. On Day 2, he had climbed to 17th. He moved all the way to the top of the podium on the third and final day by shooting brilliantly in very tough conditions. 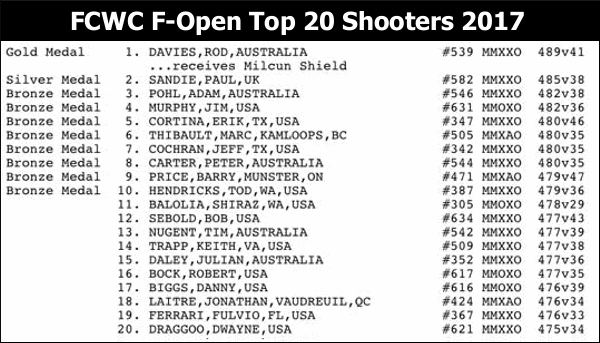 In F-Open, the story was all Rod Davies, the talented Australian. He shot strong and steady throughout the match, to top the field with a 489-41V score. Finishing second was the UK’s Paul Sandie (485-38V), while another Australian, Adam Pohl, took third with 482-38V. Those Aussies do know how to shoot off grass in windy conditions. 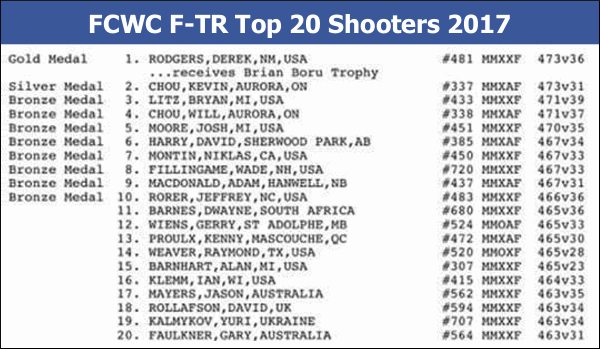 Five of the top 15 F-Open shooters were from Down Under. The top American was Jim Murphy in fourth place, followed by Erik Cortina in fifth. 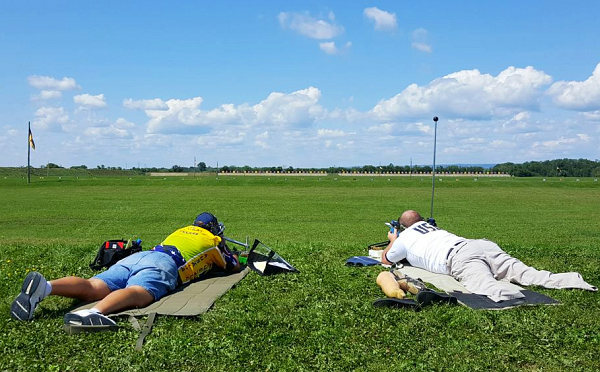 2017 FCWC relays were conducted with Pair Firing, with each shooter alternating shot by shot. Here are Mark Fairbairn (Australia) and Matt Schwartzkopf (USA) on the right. Sebastian Lambang photo. YOUNG GUNS: At the 2017 FCWC the first-ever Under 25 World Champions were crowned: Mitchell Fitzpatrick (F-TR) and Rhys Ireland (F-Open). 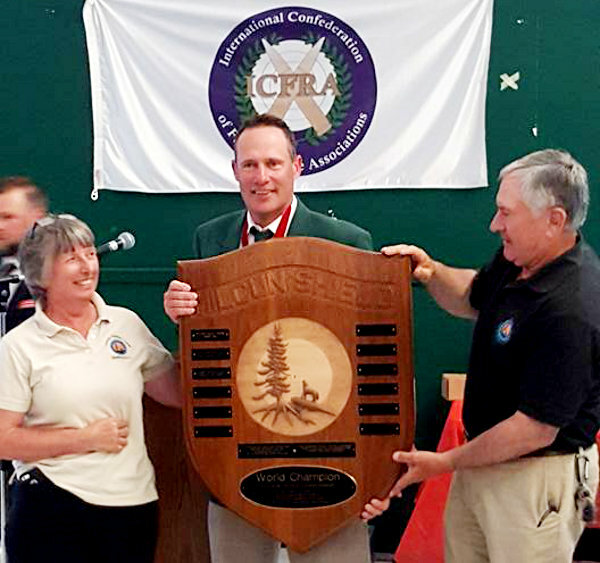 Rhys also won the 2017 Canadian National F-Open Championship last week. Mitchell is a past KO2M winner. The young pit crew members did a great job. Sebastian Lambang photo. 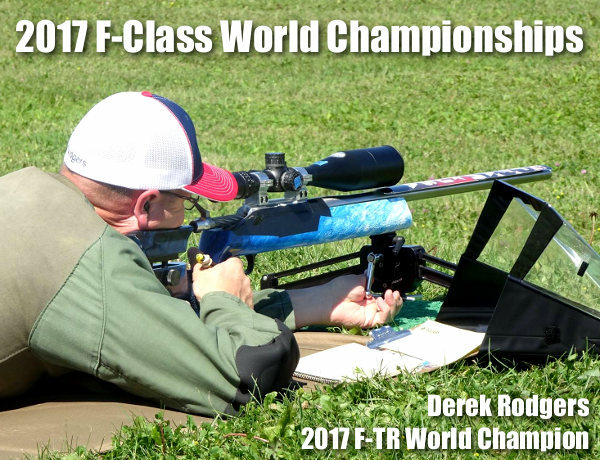 Share the post "Individual Champions Crowned at F-Class Worlds in Canada"
We love shooting reactive targets — the instant gratification of hearing the “clang” and seeing the target fall or spin is addictive. However, there are some significant downsides of steel targets. They are heavy/cumbersome to move around. With steel targets you must be careful with ricochets and bullet splatter. Finally, to keep them looking good, you have to constantly re-apply surface paint. 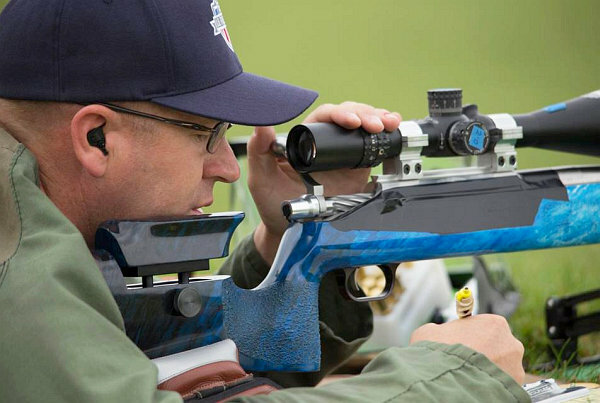 Newbold now offers a series of reactive polymer targets that work like steel, but have none of the major disadvantages. Weighing over 80% less than steel, they are easy to transport and set-up. Though they can “react” like steel, bullets pass right the self-sealing polymer, so you don’t have to worry about ricochets or bullet “splashback”. Finally, you never have to paint them. They come in bright colors that last the life of the target. 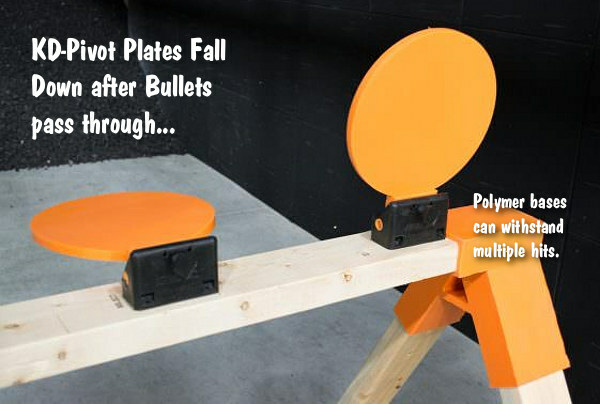 They are affordable — small polymer targets start at $3.99, while the larger Knock-Down “plates” (shown below) are $18.99 each. Newbold’s KD Competition Series targets can be reset with a simple string. 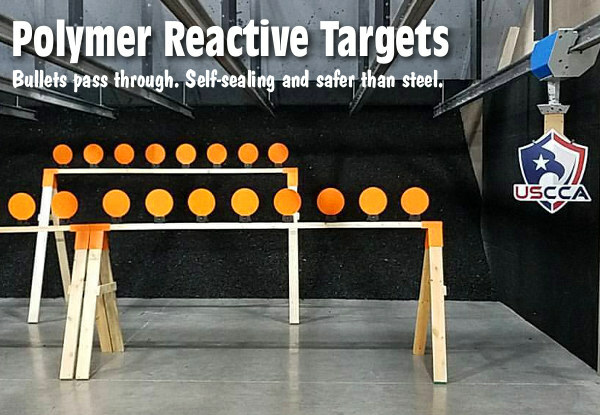 Newbold offers a variety of self-sealing reactive targets, such as the KD-Pivot plate rack targets above, 3-Gun targets, hanging targets, and the 42″ popper targets shown in the video below. Many of the Newbold targets have reset systems — simply pull a lanyard and the targets pop back up. Share the post "Newbold Reactive Polymer Targets"